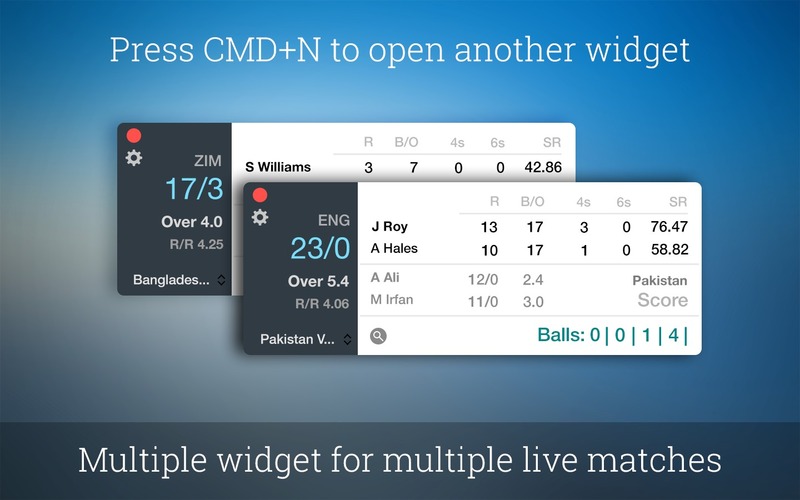 Is there a better alternative to CricLive? Is CricLive really the best app in Sports category? Will CricLive work good on macOS 10.13.4? 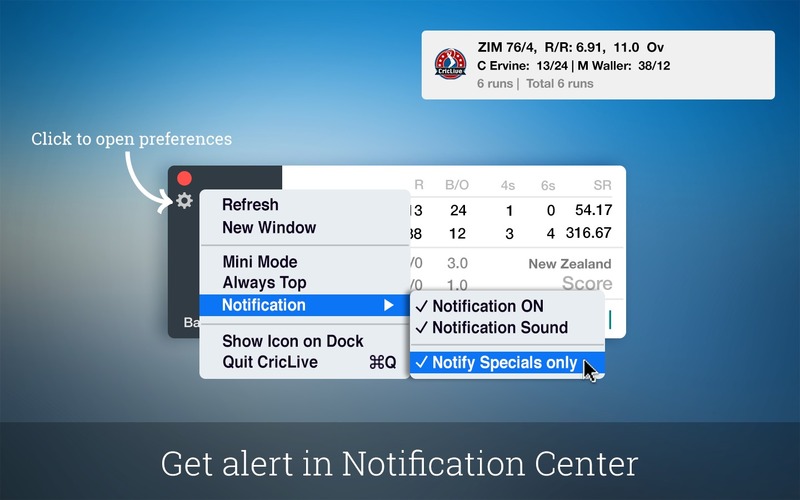 With CricLive, you'll not miss a single update from the Cricket World Cup matches! 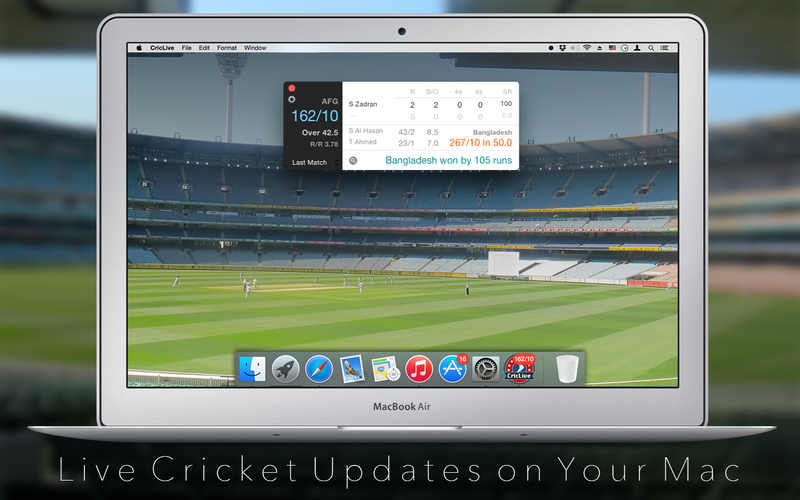 This season make the Cricket World Cup more special and bring it closer to your desktop. 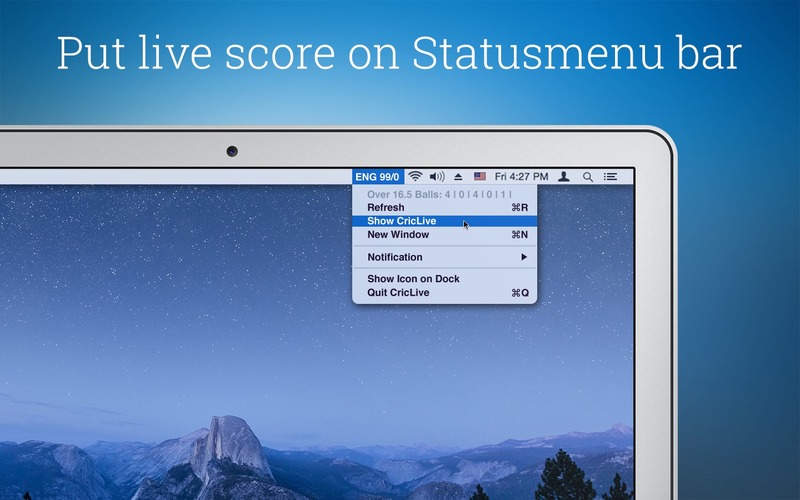 Get each and every update right in your Notification Center. 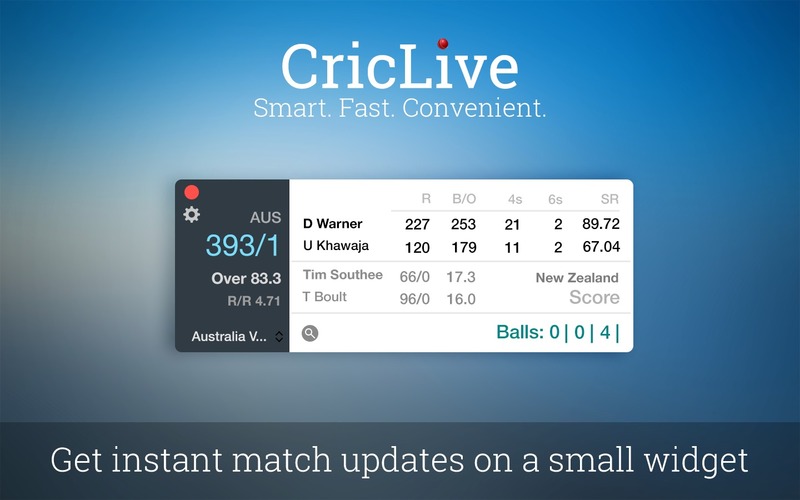 CricLive delivers the score board into a minimalist layout and keeps updating it ball-by-ball. CricLive needs a review. Be the first to review this app and get the discussion started! CricLive needs a rating. Be the first to rate this app and get the discussion started!